Doug Quinn stands on the empty lot where his house used to be. Roy Wright runs the National Flood Program for FEMA. This photo, taken after Superstorm Sandy, shows cracks in the foundation of Doug Quinn's home. The insurance company claimed that the cracks were there before Sandy. Doug Quinn closes his storage container, on the empty lot of his home destroyed by Superstorm Sandy. 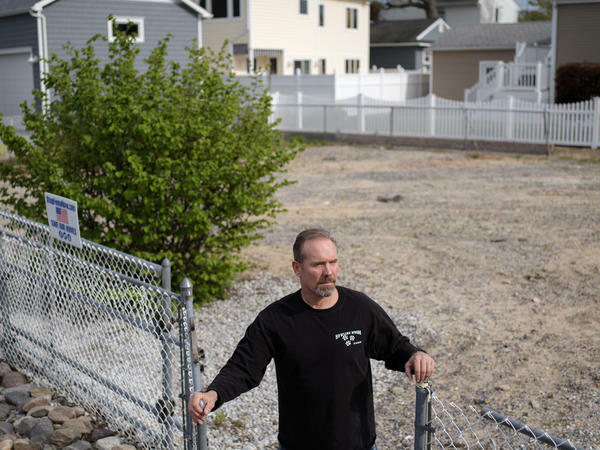 Life in the neighborhood continues on around the empty lot where Doug Quinn's house used to stand in Toms River, N.J.
Hunter, shown at his home in Arlington, Va., says the National Flood Insurance Program doesn't charge homeowners enough in premiums to adequately fund itself. Sue Kenneally (center) wipes tears as she and other victims of Superstorm Sandy gather during a demonstration across from the statehouse in Trenton, N.J., in October 2015. More than three years after the 2012 storm, many residents are still not back in their homes. Doug Quinn has been living in a rented home in Toms River, N.J., while he still pays his mortgage and flood insurance on his house that was destroyed by Superstorm Sandy. Top: Doug Quinn's home in 2011. 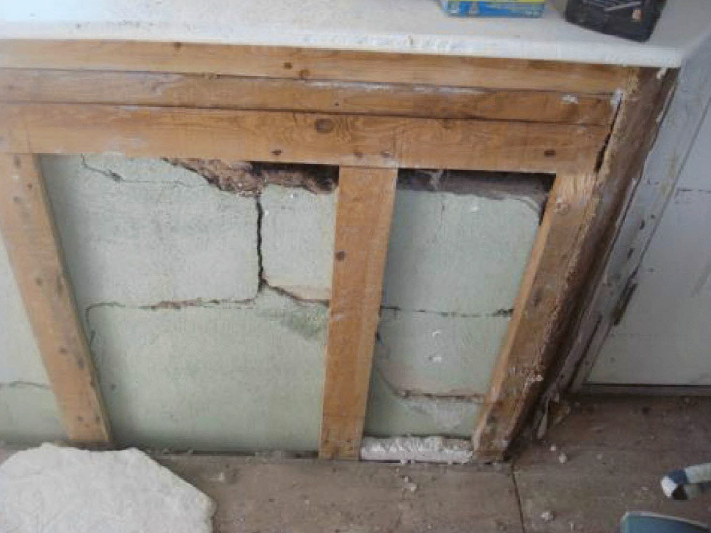 Left: Damaged materials from inside Quinn's home in January 2013. Right: Water flooded Quinn's street the day after Superstorm Sandy. 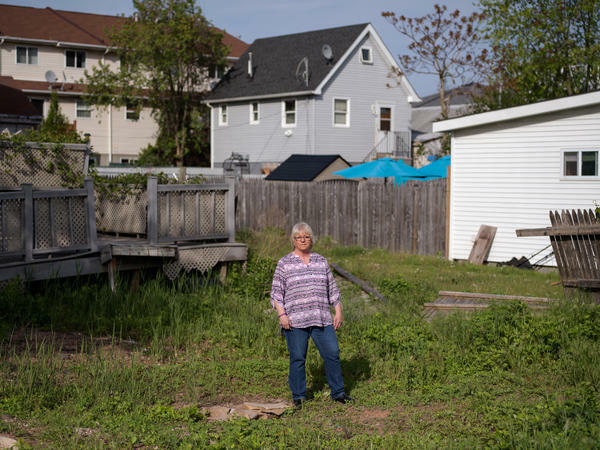 Like many other homeowners, Ann Marie Cianci — standing near her abandoned house on Staten Island, N.Y. — has been unable to move back home. After paying flood insurance for 32 years, she received only $60,000 out of her $250,000 policy. 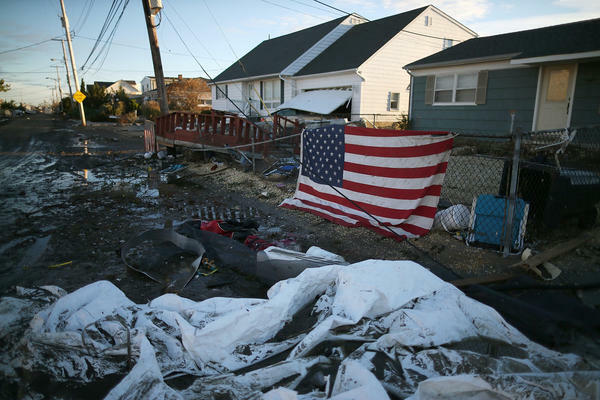 An American flag flies in front of a home damaged by Superstorm Sandy on Nov. 1, 2012, in Toms River, N.J.
Robert Hunter became the federal insurance administrator in 1976. 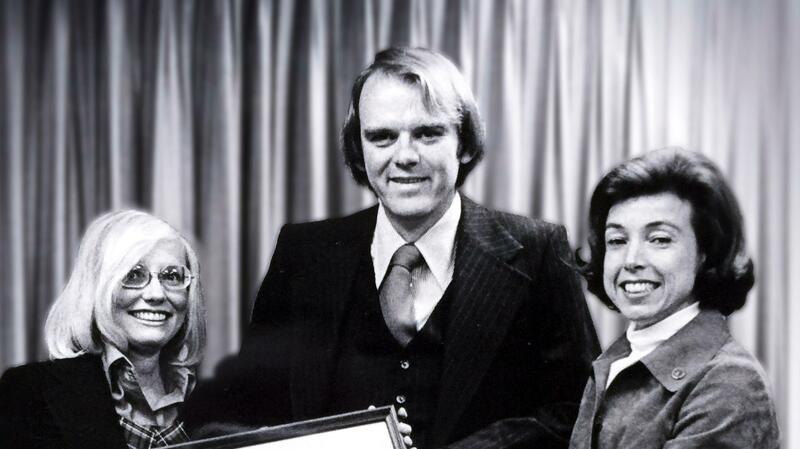 On the right is then-Secretary of Housing for Urban Development Carla Hills, and on the left is his wife, Carole. Everyone had come to make the same point: They'd made it through Superstorm Sandy, which hit the shores of New Jersey and New York in October 2012. But three years later, many hadn't made it home. "I should be at home in my house and part of my community and instead I'm here doing this," said Quinn. "I thought it'll be all right; my insurance will take care of what needs to be taken care of and I'll be back home in three to four months. It's [been] three years and I'm still not anywhere close. I look back now and think how naive I was." 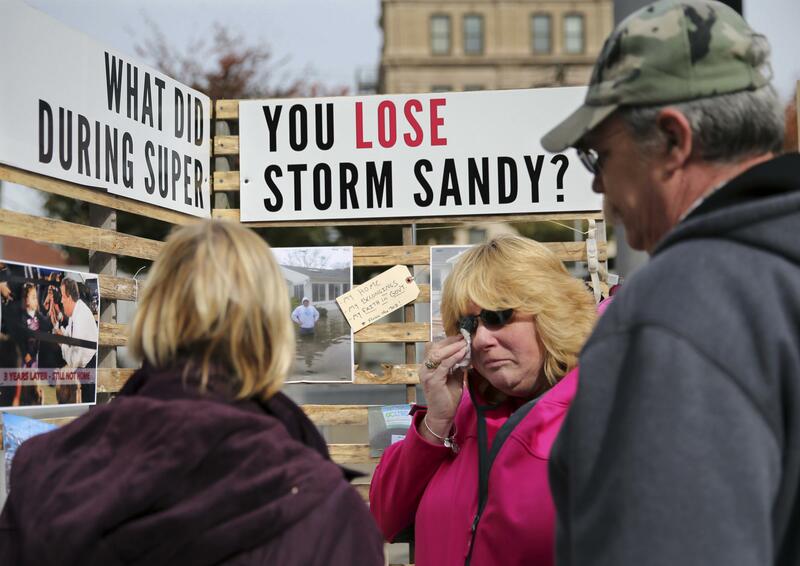 Superstorm Sandy wasn't a disaster for everyone, though. For some, it was big money. But in many cases that didn't happen. While thousands of homeowners like Quinn said they have not received the recovery help they need, our investigation found that their private insurance companies that administer the government's flood program made as much as an estimated $240 million to $406 million in profit annually over the past four years. We reached out to flood insurers — including some of the nation's largest firms — that represent the majority of homeowners affected by the storm and all declined to comment on this story. Records show that nearly 80 firms participate in the government's flood program. "It is always going to be the case — in the event of a major catastrophic loss where hundreds of thousands of people will have seen damage or complete destruction of their property — in some instances that they will believe they are due more than in fact the claim was ultimately adjusted for," he said. "This is a fee-for-service operation," said Hartwig, president of the Insurance Information Institute. "The federal government determines what the appropriate payment is." Still, FEMA's top flood official acknowledged that the program needs fixing and told NPR and Frontline that he is pursuing reforms. Government auditors asked the Federal Emergency Management Agency seven years ago to impose stricter oversight of the program, including insurers' profit margins. But little has been done. "What I can tell you is that I am focused on those policyholders and insuring that they get the resources and the payouts they are entitled to," said Roy Wright, who runs FEMA's flood program. He acknowledged that the program does not provide enough oversight of the firms. "Because when I go back and look, while we were providing oversight, it was not enough." To understand the challenges homeowners are facing, we set out for Toms River, N.J., where Quinn's house used to be. The night of the storm, a wall of water surged across his lot, swamping Quinn's foundation and most of his first floor. State officials said his house had to come down, so he had it razed. Quinn had the maximum flood insurance policy — $250,000 in coverage. But when the letter arrived from the insurance company, he didn't get $250,000. He got $90,000. That wasn't enough to rebuild his home. Now, more than three years later, he is still paying the mortgage on this nonexistent home while he rents the house he lives in now. "I knew right off the bat that something was wrong," he says. "I did not realize that the game was stacked against us and there really was no way to win." If it was a game, he wasn't the only player. Thousands of homeowners across New York and New Jersey were underpaid. Some got just a fraction of their policies. FEMA runs the government flood program. But it doesn't write the policies or manage the claims. It pays private insurance companies fees to do that work. When homeowners buy flood insurance, they pay a fee that doesn't actually stay with the insurance company. It goes into a pot of money to the flood program. After a disaster, the insurance companies that participate in the flood program decide how much a homeowner will receive. They then pay homeowners using the pot from the program. When that money runs out, as it has during big disasters in recent years, taxpayers pay the rest. In theory, homeowners shouldn't be shortchanged because the insurance companies are only acting as a middleman between FEMA and the homeowners making claims, essentially contracting with the government to evaluate damage and assess compensation. And yet in the months and years after Superstorm Sandy, hundreds of homeowners in New York and New Jersey filed lawsuits claiming that not only were they shortchanged by their flood insurance, but they were cheated. David Charles, an insurance adjuster who represents homeowners, says he had always loved his job and never had any problems with insurance companies. But after Hurricane Katrina destroyed much of the Louisiana and Mississippi coasts in 2005 — and became the most costly storm in U.S. history — things changed. "There was so much money spent on Katrina, the insurance companies paid out so much that there was a noticeable sea change in the attitude of the insurance companies going forward," he says. "My files started coming back to me. Take this out, take that out. Every single change they made reduced the cost." Charles says he was seeing cutbacks, no matter which insurance company he was working for. He says other adjusters shared similar stories. The insurance industry says homeowners have not been systematically underpaid. "There is no incentive for a private insurer at all to underpay these claims," says Hartwig, the insurance institute's president. "The vast majority of those individuals who in fact did have coverage are happy with their insurance companies and they're happy with the way the process unfolded for them." Dozens of homeowners we interviewed described something different. So did several others who worked closely with the insurance companies after the storm. Jeff Coolidge reviewed adjusters' files for multiple insurance companies after Superstorm Sandy. He says he quit his job in part because he was so bothered by what he was doing. 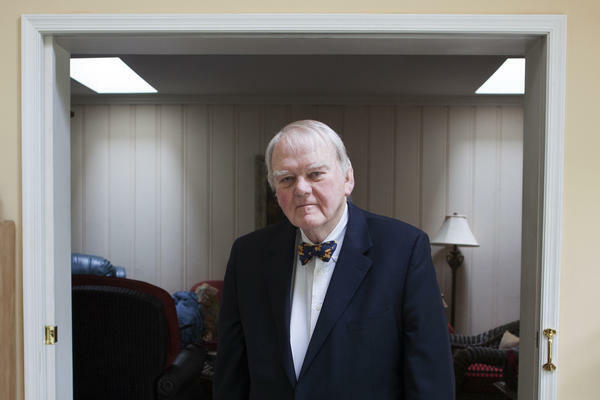 The insurance firms he worked for used phrases like "pre-existing," "earth movement" or "ground settlement" to reject homeowners' claims of flood damage. "They use 'settlement' a lot. 'Sorry your house looks like it shifted to the left a little bit, but I think it was like that when you bought it,' " Coolidge said. They told him to pay homeowners less than what they asked to be paid to rebuild, he said. He says that put pressure on him to get the independent adjusters in the field in line to back up these conclusions, or else their flat fee was at stake. "I've told an adjuster that based on our guidelines that I need you to remove these items," he says. "I send it back for revision. He doesn't agree with that. He'll resubmit it. I'll reject it back." If the adjuster wanted to pay the homeowner more, Coolidge would reject the adjuster's assessment until he got the answer his employer wanted, and in some cases he switched adjusters or threatened to do so. "'I'm going to take half your pay and give it to him," he recalls telling several adjusters. Looking back, Coolidge says he regrets that behavior but at the time, he didn't feel he had a choice. "I feel bad every day for participating in that. It is what it is. [The insurance companies] had the upper hand. You either do it or they'll remove you." Part of the reason insurance companies could have been shorting homeowners through people like Coolidge may lie in the way the program was set up — and how much it is paying insurance companies. Congress created the National Flood Insurance Program in the 1960s when large storms swept across the Midwest, wiping out entire towns. "The idea of the original program was brilliant," says Robert Hunter, who ran the flood program in the 1970s. "The program would become less and less expensive because people would be building safer and safer structures and ... the program would become self-sufficient and carry its own weight and not lose money." But that has never happened. The program has run deficits from the beginning. In the 1980s it was $700 million in debt. In the 1990s, it was $1 billion in debt. And today, after Katrina and Sandy, the program is $23 billion in the red. There are a couple of theories for possible shortfalls. For one, industry experts say insurance is a commercial business. It looks to lower costs and keep payments to homeowners in check. It's just habit, they say — even if it's not their money. And then, after Hurricane Katrina, FEMA tried to crack down on overpayments to homeowners, when some companies charged unrelated damage coverage to the flood program instead of their own wind coverage. But there was one more theory. The insurance companies make money on the program, regardless of how big the storm or the cost to taxpayers. But they won't make any money on the program if it doesn't exist. So, the theory goes, the companies sought to cut the program's debt to save the program — and they did that by paying homeowners less. "It was batten down the hatches and circle the wagons," says Steve Mostyn, a plaintiff's attorney who joined the fight with other lawyers to sue the insurance companies on behalf of 1,300 homeowners impacted by Sandy. "It was a systematic culture and plan to hold back the losses." Mostyn has scoured insurance company documents for almost two years. He points to the repeated hearings Congress has held on Capitol Hill over the past few years asking why this program is so far in debt and talking about privatizing the flood program or even ending it. "They've had this, 'You owe Congress 20-something billion-dollar deal' hanging over their head," since Katrina, he says. "And I think that they thought if they didn't protect this pot that they had, if they went deeply into debt again, that there would be a push to end the National Flood Insurance Program. You got to protect the goose that lays the golden egg." But to know whether that is right, you would have to know how much the companies are making. In 2009, a Government Accountability Office audit told FEMA to figure out how much profit the flood insurance companies are making off the flood program and take that into account when it paid them. But Wright, who took over the flood program for FEMA last year, says he doesn't know how much money the insurance companies make from the program. "I've never looked at the book of business to understand their profits," he says. "So you'd need to go specifically to the companies to understand those numbers." The nation's largest insurance firms declined to disclose their profit margins on the flood program. However, every year the insurance companies report what it actually costs them to do their flood work to the National Association of Insurance Commissioners, an industry association of government regulators. And every year, FEMA reports what it pays insurers who participate in the flood program. With both numbers, you can do some math. Government auditors used a similar method in 2009. Based on the latest figures, that analysis shows the insurance companies together made anywhere from $240 million to $406 million a year just on their flood work since 2011 — without having to pay any claims. But if these profits led insurance companies to try to protect a program by paying homeowners less, is it even possible for multiple insurance companies to systematically shortchange people, as hundreds of lawsuits in New York and New Jersey allege? 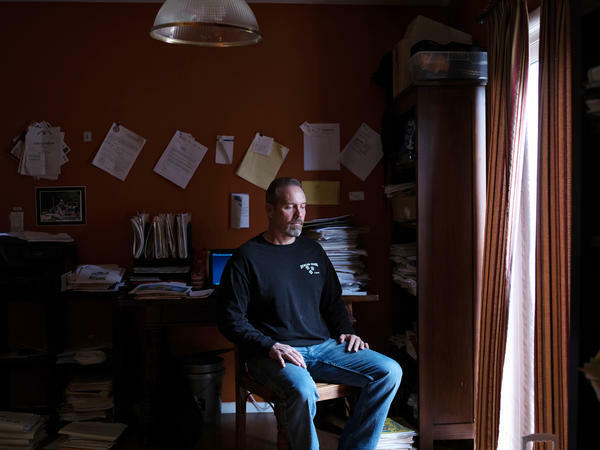 Far from Superstorm Sandy's epicenter, in Houston, attorney Mostyn found a curious similarity among many of the homeowners he now represents in his lawsuit against the insurers. He said he found a pattern among engineering reports that were used to reject or justify lower payments on homeowners' insurance claims. There seemed to be a template that many of the reports followed, which says the houses hit by the storm were not structurally damaged by the flood but were damaged by "long-term differential earth movement." That means natural forces over a long period of time damaged the home — not whatever disaster just occurred. That's what homeowner Quinn was given for the reason his insurance company, Selective, used to deny much of his claim on his home along the New Jersey coast. But Quinn was confounded. He had photos of his foundation from a year earlier. He didn't have any cracks. The day after the storm, large cracks were all over his foundation. Quinn says he wasn't thinking about whether other people were in his same situation or whether the insurance companies were trying to keep the program costs down. He just thought it was a mistake. So he did what a lot of people did: He appealed to FEMA. Almost five months later, a FEMA representative replied. The agency had denied his appeal, siding with Selective. Selective declined to comment on Quinn's case. But NPR and Frontline obtained a copy of Quinn's case file. In it were emails between FEMA and Selective that Quinn had never seen before. We showed the file to Quinn, and he started to read. As he got to the end, he saw where it says FEMA sent Selective his appeal and then asked Selective to review it and write a response. First, Quinn reacted with an expletive. Then he said "This is not an objective third party review process. This is complete crap." According to FEMA's own internal documents, FEMA sided with insurance companies almost 75 percent of the time. A government audit recently found that the process received inadequate oversight from FEMA. Wright acknowledges FEMA sent appeals to insurance companies. Wright says he is making changes to the appeals process to ensure that it's more transparent and that homeowners get a fair review. "The appeals process that was in place in the past did not have enough credibility," he says, adding the appeals have now been moved into a different department separate from claims review. Last year a Senate committee couldn't find any widespread underpayments of claims. But since then, FEMA has reopened claims review for anyone who felt underpaid by his insurance company. More than 19,000 people came forward in addition to the 1,700 who sued. So far, FEMA is finding that more than 80 percent of the homeowners were underpaid by their insurance companies. As for Quinn, he sued and eventually settled with Selective. In addition to the $90,000 in claim money that he received, his settlement gave him an additional $130,000. Quinn paid one-third of his settlement in legal fees. Win or lose, FEMA pays all the insurers' attorney fees. Standing on his empty lot, Quinn opens a storage container with all that survived the storm: a couple of ceiling fans, boxes from his attic, a hockey helmet. Until he can rebuild, he'll keep paying a mortgage and flood insurance on a house that no longer exists. "I don't begrudge somebody making a living, and if they do a good living at it, there's nothing wrong with that," he says. "But when they do it on the backs of other people's misery, it is just wrong and it infuriates me." And he, like many other Sandy survivors, feels his government let him down. "They can't begin to fathom the amount of heartache that they've created," he says. "The amount of financial wreckage they've created for average people. We're average middle-class people and we're in ruins here." When super storm Sandy ravaged the coasts of New York and New Jersey, it left hundreds of thousands of people without food, clothes or power. One-hundred-forty-seven people died. But it wasn't a disaster for everyone. For some, Sandy was big money. NPR and the PBS series "FRONTLINE" have spent the past year investigating the business of disaster and have uncovered a complex system where private companies profit and homeowners and clients suffer. "FRONTLINE's" full investigation with NPR airs tonight on PBS. And right now NPR's Laura Sullivan takes us to Trenton, N.J., for a close look at the nation's flood insurance program. She begins with a rally there last October. UNIDENTIFIED WOMAN: All the Sandy survivors - can everybody get over here? We're going to be shoulder to shoulder. LAURA SULLIVAN, BYLINE: Dozens of people are gathered across from New Jersey's state capitol. It's a cold, rainy, fall day. They're holding press conferences and sleeping overnight in lawn chairs to make their point. 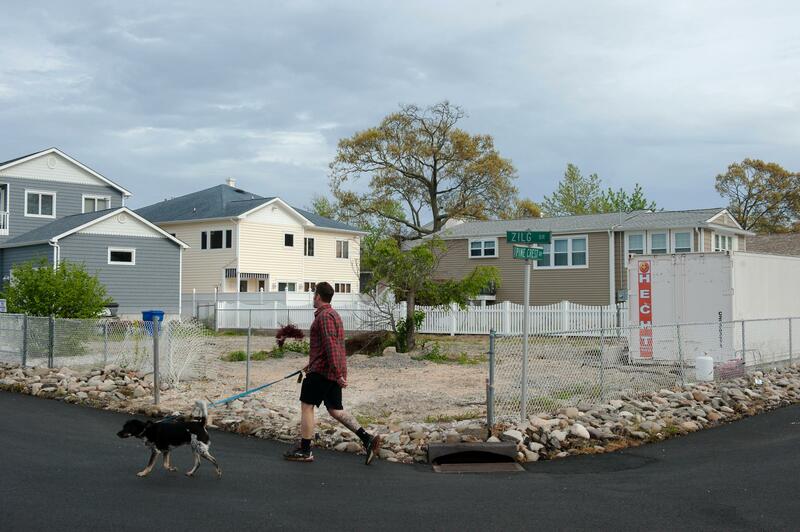 They had made it through Sandy, but many had not made it home. UNIDENTIFIED WOMAN: Are we standing together until we're all home? UNIDENTIFIED WOMAN: Are we standing shoulder to shoulder until we're all home? SULLIVAN: The idea that these people are here protesting in the rain doesn't make a whole lot of sense. Taxpayers sent billions, but also, the country has a national flood insurance program. If you've got a mortgage and live near water, you're almost certainly paying for flood insurance, so rebuilding after a storm shouldn't be a problem. And yet that's not what these people found. One man is standing off to the side of the podium in jeans and a goatee. He's been out here for two days. DOUG QUINN: I should be at home in my house, and instead I'm here doing this. SULLIVAN: His name is Doug Quinn. He's 51, lives in Toms River, N.J. He tells me that after the storm, he really wasn't that worried. QUINN: Honestly, I thought it'll be all right. My insurance will take care of what needs to be taken care of, and I'll be back here in three to four months. You know, I look back now and think how naive I was. SULLIVAN: A few weeks later, I drove out to Quinn's house to figure out what went wrong. QUINN: Yeah, this is it. QUINN: This is what's left of it, at least. SULLIVAN: And found Quinn standing in the middle of an empty dirt lot. QUINN: This would have been my living room. I had a cool little fireplace right over here. You know, I mean, it was a comfortable, cozy, middle-class home. SULLIVAN: The night of the storm, a wall of water surged across this lot, swamping Quinn's foundation and most of his first floor. State officials said his house had to come down, so he had it razed. He still has to pay the mortgage on this nonexistent home and rent where he lives now. But the difficult thing to understand about Quinn's situation is that not only did he have flood insurance. He had the maximum policy. He had $250,000 in coverage - enough to rebuild his home. He was excited when the letter came in the mail. And then he opened it. He didn't get 250,000. He got 90,000. QUINN: I knew right off the bat that something was wrong. I did not realize that the game was stacked against us, and there really was no way to win. SULLIVAN: If it was a game, Quinn wasn't the only player. Thousands of homeowners across New York and New Jersey were underpaid. Some got just a fraction of their policies. And while they struggled, NPR and "FRONTLINE" found private insurance companies made millions. To understand what happened, you need to know a few things about flood insurance. Nearly all of it is run by FEMA - the Federal Emergency Management Agency. FEMA doesn't write the policies or manage the claims. It pays private insurance companies a fee to do that work. When there's a disaster, the companies decide how much a homeowner will get, but when it comes time to pay, they don't use their own money. First they pull from a pot the program sets up, and then taxpayers pay the rest. So in theory, no one should ever be shortchanged because it shouldn't matter to the insurance companies how much money they're sending homeowners to process a claim. It's not their money. 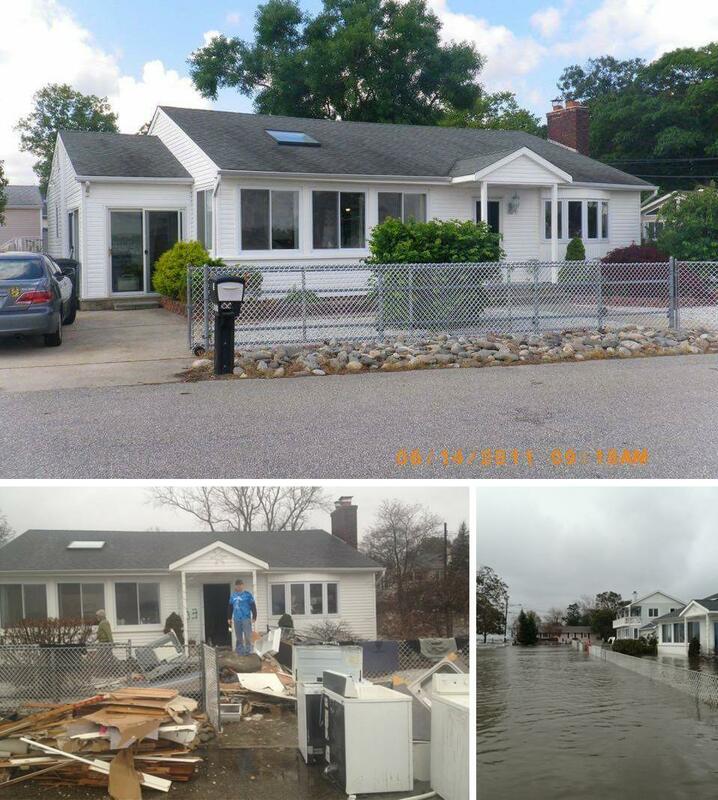 And yet in the months and years after Sandy, hundreds of homeowners in New York and New Jersey filed lawsuits claiming that they weren't just shortchanged by their flood insurance. They were cheated. SULLIVAN: Sixty miles up the coast from Doug Quinn in Staten Island, people describe similar problems. Ann Marie Cianci is one of many who hired a lawyer. She was outside, picking up trash from her abandoned house. How long's it been since you lived here? CIANCI: Three and a half years, and I have to still pay the mortgage. SULLIVAN: After the storm, a private engineer and an engineer who works for the city concluded her house was a total loss. Her private insurance company saw it differently. SULLIVAN: How much did you get? SULLIVAN: You got 60 out of 250? CIANCI: Yeah, it's a mess. CIANCI: It really is a mess. SULLIVAN: How long had you paid flood insurance? SULLIVAN: I asked Cianci if it would be OK if I went into her house with a professional adjuster, someone who's worked major storms for 37 years. DAVID CHARLES: Yeah, this is bad. SULLIVAN: David Charles steps into the house. The walls are gone and parts of the floor rotted through. Charles used to adjust claims for insurance companies. Now he helps homeowners fight the companies. CHARLES: So there's structural issues. SULLIVAN: It also feels like this house is leaning. CHARLES: It is. You can feel it as you walk. And the house needs to come down. SULLIVAN: You know - you've been in this house for 30 seconds, and you know this house has to come down. SULLIVAN: Charles says he had always loved his job, never had any problems. But after Katrina, things changed. CHARLES: The standards changed. What they were willing to pay for - every single change that they made reduced the cost. SULLIVAN: Charles says he was seeing cutbacks from all the companies. CHARLES: And then I started talking to other adjusters who were having the same experience. SULLIVAN: So you think that this was systemic. CHARLES: Oh, I am sure it was systemic. This house - they gave her $60,000. She needs $220,000. It's a flood claim. There's thousands of these people just like this. They're not well-to-do. They're elderly. They're on fixed incomes. They don't have any way to fight this. SULLIVAN: We reached out to all the top flood insurance companies. None of them would agree to an interview, but several told us to talk to the Insurance Information Institute. The companies fund the group. ROBERT HARTWIG: There is no incentive for a private insurer at all to underpay these claims. SULLIVAN: Robert Hartwig is president of the Institute, and he says homeowners were not systematically underpaid. HARTWIG: The vast majority of those individuals who, in fact, did have coverage are happy with their insurance companies, and they're happy with the way that the process unfolded for them. SULLIVAN: So what about all the people who believed they were shorted? HARTWIG: There's always going to be the case in the event of a major catastrophic loss where hundreds of thousands of people will have seen damage to their property in some instances that they will believe that they are due more than, in fact, the claim was ultimately adjusted for. SULLIVAN: Dozens of homeowners we interviewed dispute that. So did several people who worked closely with the insurance companies. Most of those workers said they could not talk on the record, but one of them did. His name is Jeff Coolidge. I met him at a restaurant and bar on the suburban outskirts of D.C.
JEFF COOLIDGE: I saw blanket denials across the board. SULLIVAN: Coolidge reviewed adjusters' files for multiple insurance companies after Sandy. He says he quit in part because he was so bothered by what he was doing. He says nearly every claim had items rejected, often using special words. COOLIDGE: Pre-existing or not related to hydrostatic pressure or settlement - big word. They used settlement a lot. Sorry your house looks like it shifted to the left a little bit, but I think it was like that when you bought it. SULLIVAN: You're saying that your supervisors or insurance companies that you worked for were telling you to pay homeowners less? SULLIVAN: Coolidge says getting the independent adjusters in the field in line was easy once they understood their flat fee was at stake. COOLIDGE: They'll yank the file. I've done that to people. I have told an adjuster to, based on our guidelines - that I need you to remove these items, OK? He'll resubmit it, and they'll reject it back. And on the third, I would reassign that to somebody who will change it, and then I'm going to take half of your pay, and I'm going to give it to him. SULLIVAN: Do you feel bad looking back on that now? COOLIDGE: I feel bad every day for having participated in that. It is what it is. They had the upper hand. You either do it, or they'll remove you. SULLIVAN: Still, why would insurance companies want to lower payments to homeowners that they weren't even paying? Part of the reason may lie in the way the program was set up. UNIDENTIFIED MAN: From Missouri to Pennsylvania, river towns have been inundated. SULLIVAN: Congress created the flood program in the 1960s after floods swept across the Midwest, wiping out entire towns. BOB HUNTER: The idea of the original program was brilliant. SULLIVAN: Bob Hunter ran the flood program in the 1970s. HUNTER: The program would become less expensive because people would be building safer and safer and that the program would become self-sufficient and not lose money. SULLIVAN: But that has never happened. The program has run deficits from the beginning. In the 1980s, it was $700 million in debt. In the 1990s, it was a billion dollars in debt. And today, after Sandy and Katrina, the program is $23 billion in the red. Hunter says that's partly because the program doesn't charge enough in premiums. But he also says it's because FEMA pays private insurance companies a third to sometimes two-thirds of the money homeowners put into the program. Last year, FEMA paid the companies more than a billion dollars in fees. Hunter says with so much money going to insurance companies, it's that much harder to cover the losses of big storms or save up to help cover the really big ones like Katrina or Sandy. HUNTER: In the long run, you're going to lose money, and you're going to lose a lot of money. And that's what's happening. SULLIVAN: So when a storm does hit, for the most part, taxpayers pick up the tab, and the insurance companies get paid regardless. HUNTER: It's a sweetheart deal. They like it. They have no risk. They just tack it on to the homeowner's policy. They make some money. SULLIVAN: But how much money? How much do the insurance companies actually make? We asked the insurance companies, FEMA and the Insurance Institute, but that didn't get us much closer to the answer. Why is it so hard to understand how much the insurance companies are making, much they're paying, what their expenses are and what their profit is? HUNTER: Because obfuscation is helpful to them in this situation. SULLIVAN: Do you think even FEMA knows how much it's paying and how much this is actually costing? HUNTER: No, I don't. I don't think they ever asked the question. SULLIVAN: This question of how much the insurance companies are profiting could explain why thousands of homeowners believe they were shorted. There are a couple theories for possible shortfalls. For one, industry expert say insurance is a commercial business. It looks to lower costs and keep payments to homeowners in check. It's just habit, even if it's not their money. And then after Katrina, FEMA tried to crack down on overpayments to homeowners when some companies charged damage to the flood program instead of their own wind coverage. But there was one more theory out there, and it comes back to the money. The insurance companies make money on the program regardless of how big the storm or the cost to taxpayers. But they won't make any money on the program if the program doesn't exist. So the theory goes - the company sought to cut the program's debt to save the program, and they cut the debt by paying homeowners less. It's a theory we heard from adjusters and engineers, sources in the industry, staffers on Capitol Hill and lawyers like Steve Mostyn. STEVE MOSTYN: It was batten down the hatches and circle the wagons. It was a systematic culture and plan to hold back the losses. SULLIVAN: Moystn is a plaintiff's attorney from Houston who has been suing the insurance companies. He's scoured insurance company documents for almost two years. He points to the repeated hearings Congress has held asking why the program is so far in the red. And that's true. Lawmakers have openly talked about privatizing the flood program or even ending it. MOSTYN: They've had this you-owe-Congress-$20-some-billion deal hanging over their head, and I think that they thought that if they didn't protect this pot that they had, if they went deeply into debt again, that there would be a push to end the National Flood Insurance Program because you got to protect the goose that lays the golden egg. SULLIVAN: But to know if that's true, you'd have to know how much they're making. And we're going to come back to that in a minute. First though, is it even possible for multiple insurance companies to systemically shortchange thousands of people like the lawsuits allege? Mostyn sits down at a conference table in his office. MOSTYN: These are notebooks that were used in some of the hearings that we had. SULLIVAN: The notebooks are full of engineering reports, reports from different engineers in different homes that all wound up saying the same thing - in some cases, things that differed from what the engineer originally wrote. MOSTYN: This is the original first report. SULLIVAN: This is the original report. MOSTYN: But the observations, right? SULLIVAN: Observations are what they see at the house. MOSTYN: Are identical in report after report after report, OK? 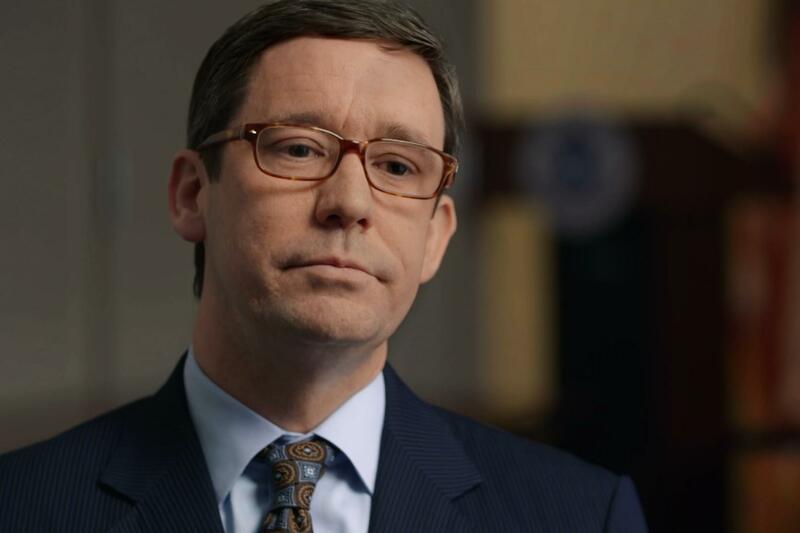 SULLIVAN: So you're saying they (unintelligible) a cookie-cutter template and inserted them into people's reports. MOSTYN: Yeah, I'm glad you said template because we found it. And every one of them says long-term differential movement, not structurally damage, long-term differential move, not structurally damaged. MOSTYN: Long-term differential movement, not structurally damaged. SULLIVAN: ...Reading from the letter his insurance company wrote denying much of his coverage. QUINN: ...And were unrelated to the subject flood event. SULLIVAN: Long-term differential earth movement - many Sandy homeowners know it well. It basically means natural forces over a long period of time damaged your home, not whatever disaster just occurred. But Quinn was confounded. He had photos of his foundation from a year earlier. He didn't have any cracks. The day after the storm, he had large cracks all over his foundation. Quinn wasn't thinking whether other people were in his same situation or whether the insurance companies were trying to keep the program's cost down. He just thought it was a mistake, so he did what a lot of people did. He appealed to FEMA. Almost five months later, a FEMA representative replied. QUINN: He concludes with - based on all the information provided, FEMA concurs with Selective's final decision. SULLIVAN: Selective, Quinn's insurance company, declined to comment on Quinn's case, but NPR and "FRONTLINE" obtained a copy of Quinn's case file. In it were emails between FEMA and Selective. So I showed them to Quinn. QUINN: No, there's my name. Is this it right here? SULLIVAN: He sees FEMA employees talking about his case with Selective. QUINN: They're all chummy, chummy. Hi, Gary. Hi, Bill. Hi, Jason. SULLIVAN: And then he gets to the end. QUINN: Get the [expletive] out of here. SULLIVAN: He sees where FEMA sent Selective his appeal and asked Selective to review it and write a response. QUINN: This is not an objective, third-party review process. This is just complete crap. SULLIVAN: Roy Wright runs the flood program for FEMA and its appeals process. ROY WRIGHT: I am absolutely committed to make sure that people feel they have a fair shake and a transparent appeals process. SULLIVAN: Wright took over about a year ago. In an interview, we showed him his agency's own internal documents showing that FEMA siding with insurance companies almost 75 percent of the time, and a government audit found homeowners claims might not have been fairly considered. Wright acknowledges FEMA sent appeals to insurance companies. WRIGHT: Appeals process that was in place in the past did not have enough credibility. SULLIVAN: Wright said he's planning changes. But if the insurance companies were shorting homeowners to protect the program, what exactly were they protecting? How much money are the insurance companies making? In 2009, a government audit told FEMA to find out. It told FEMA to figure out how much profit the companies make and take that into account when it paid them. It's been seven years, so I asked Roy Wright if they had figured it out yet. What kind of a profit do you think they're making? WRIGHT: I've never looked at the book of business to understand their profits. SULLIVAN: ...More than an excess of a billion dollars a year to not know what their profit structure would be on that. WRIGHT: So you'd need to go specifically to the companies to understand those numbers. SULLIVAN: It turns out you don't. Every year, the insurance companies report what it actually cost them to do their flood work to a government regulatory agency, and every year, FEMA gives them a certain amount of money. We got a hold of both sets of numbers and did some math. It's the same methodology government auditors use. I took our spreadsheet over to Bob Hunter's house. He's the guy who ran the flood program. HUNTER: My office is out here. SULLIVAN: Hunter is also an actuary. SULLIVAN: He looks over what we compiled. HUNTER: We're talking about something near 30 percent profit margin. That's a lot of money. SULLIVAN: And then he looks closely at each year. HUNTER: Oh, that's way too much money. SULLIVAN: According to the numbers, before taxes, the insurance companies together make anywhere from $200 million to more than $400 million in profit every year just on flood. And they don't have to pay any claims with the money. HUNTER: That money should be used to pay claims, not to make insurance companies with no risk get rich. SULLIVAN: Robert Hartwig, the guy from the Insurance Institute, says the idea that insurance companies are trying to save a lucrative program by shorting homeowners and bringing down the program's debt is ridiculous. HARTWIG: That would be a pretty convoluted argument. The private insurers have no incentive to take a lead role in the reduction of the U.S. federal deficit. SULLIVAN: But it's not just the deficit that would benefit. The companies benefit from the existence of the program by hundreds of millions of dollars. Hartwig disputes that the program is that profitable, saying that several large companies have left the program. He also says the company's profits are half of what we found, but he did not provide any additional data. He says the amount companies are paid is appropriate. HARTWIG: This is a fee-for-service operation. The federal government determines what the appropriate and fair payment is. SULLIVAN: Looking over those payments, there's one number that jumps out most of all. In the wake of Sandy, when tens of thousands of homeowners like Doug Quinn say they were underpaid, when they struggled to pay their rent and their mortgages and knew they'd never have enough money to rebuild, the insurance companies on just the flood program made more than $400 million in profit. I ask FEMA's Roy Wright. WRIGHT: So what I can tell you is that I am focused on those policyholders and ensuring that they get the resources and they get the payouts that they are entitled to. As I go back and look, while we were providing oversight, it was not enough. SULLIVAN: Wright asks for a copy of the spreadsheet and said he would take a look at it. A Senate committee last year couldn't find any widespread underpayments, but since then, FEMA reopened claims review for anyone who felt their insurance company underpaid them. Nineteen-thousand people came forward in addition to the 1,700 who sued. So far, FEMA is finding that nearly 80 percent of the homeowners were underpaid by their insurance companies. Doug Quinn sued and eventually settled. QUINN: I've never sued anybody in my whole life. I'm 51 years old. I've worked my whole life. I've paid good taxes. I'm a veteran. I've done everything as an American I'm supposed to do. All we asked was that they do what they promised to do when they accepted our insurance premiums. SULLIVAN: But suing was a years-long process, and he has to give his attorney 30 percent of the $130,000 he's getting. The insurance companies, on the other hand, don't have to worry about that. As the program spells out, FEMA pays all the legal bills of the insurance companies. Roy Wright says he's going to look into that, too. On his is empty lot, Doug Quinn opens a storage container with all that survived the storm. QUINN: You get weird with stuff. SULLIVAN: He's got a couple ceiling fans, a hockey helmet. QUINN: Because such a large percentage of your material possessions get washed away, whatever's left - it's hard to part with. SULLIVAN: Until he can rebuild, Quinn will keep paying rent, a mortgage and flood insurance on a house that no longer exists. QUINN: I don't begrudge somebody making a living, but when they do it on the backs of other people's misery, it is just wrong, and it infuriates me. SULLIVAN: And he, like many other Sandy survivors, feels like his government let him down. QUINN: They can't begin to fathom the amount of heart ache that they've created, the amount of financial wreckage they've created for average people. We're average, middle-class people, and we're in ruins here. SULLIVAN: The next time a storm hits somewhere in this country, thousands more people will turn to their flood insurance to find their way out of a disaster and make their way back home. But if it's anything like Sandy, they might not get there. Laura Sullivan, NPR News. MCEVERS: Following our reporting, FEMA announced this week sweeping changes to the flood program that will overhaul its contracts with insurance companies. "FRONTLINE's" full investigation with NPR "Business Of Disaster" airs tonight at 10, 9 Central, on your local PBS station. CORNISH: Tomorrow on MORNING EDITION, NPR and "FRONTLINE" investigate the millions wasted when state disaster recovery programs aren't up to the job. Transcript provided by NPR, Copyright NPR.